Canopy walk in Rwanda is an activity like no other that offers great Rwanda safari experiences to tourists who visit the country. The Rwanda canopy walk set up in 2010 by the Green Heart NGO group supported by U.S.A.I.D is one of a kind and a top-notch activity in Rwanda. The canopy walk is constructed in Nyungwe Forest National Park situated in the south west of Rwanda, about 220km from Kigali International Airport (the country’s international airport). 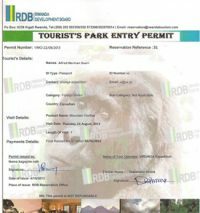 The park has a notable diversity of wildlife species including 13 species of primates, more than 300 bird species, 85 mammals, over 1000 plant species, 32 amphibian and 38 reptile species. Many of the species endemic to the Albertine Rift region within which Nyungwe forest lies. Nyungwe Forest National Park canopy is a suspended bridge 50 meters above the ground within East Africa’s largest and oldest Afro-Montane Forest. The walkway is of length 200 meters hanging across a steep and deep valley filled with a thick montane forest (this can either be a usual or crazy height depending on the tourist). The Canopy Walk offers breathtaking views across the misty forest with sightings at an eye-level, for a diverse number of wildlife inhabiting the canopies only on a safari in Rwanda. Rwanda’s Canopy Walk activity takes close to 2 hours on approximately a two km walk to and from. The walk way has a 160 meter stretch divided in 3 sections, the first one being a 45 Meter stretch, followed by the longest at 90 Meters and the shortest at 25 meters. The start and end points are at the Nyungwe National Park headquarters known as the Uwinka tourist reception center. Starting the activity in the morning at about 8:00am after briefing, the first about 200 meters is a walk along a forest trail under the thick canopies for a chance to observe the ground level nature before taking on the canopy walkway to access the top level of the forest. You walk to the start point and walk back for some meters with the actual canopy walk being about 160meters. Since you are on a tour in Rwanda to a tropical forest, chances of rains are high and therefore carry a light rain coat and hiking shoes. If you can’t carry one, you can rent a rain coat and hiking shoes at the reception. With the hiking difficulty in the forest, hiking sticks are provided at no cost. The Minimum age for the canopy activity is 6 years, and children must be accompanied by an adult. The hike is relatively easy. Nyungwe Forest National Park canopy walk costs US$60 per person paid at the reception center in cash. 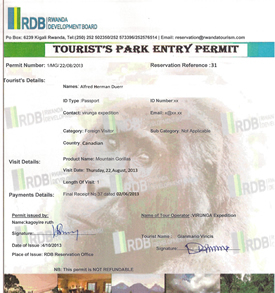 Canopy walk is available throughout the year and therefore can be tailored on a Rwanda tour any time of the year. During the canopy walk and the exploration in the forest, notable sightings include several apes such as L’Hoest’s Monkeys, Blue Monkeys, Black-and-white Colobus, Red-tailed Monkeys, and lots of birds. Nyungwe Forest National Park is the popular chimp trekking destination in the country, therefore on a Rwanda wildlife safari, including a canopy walk just makes the safari more exciting. 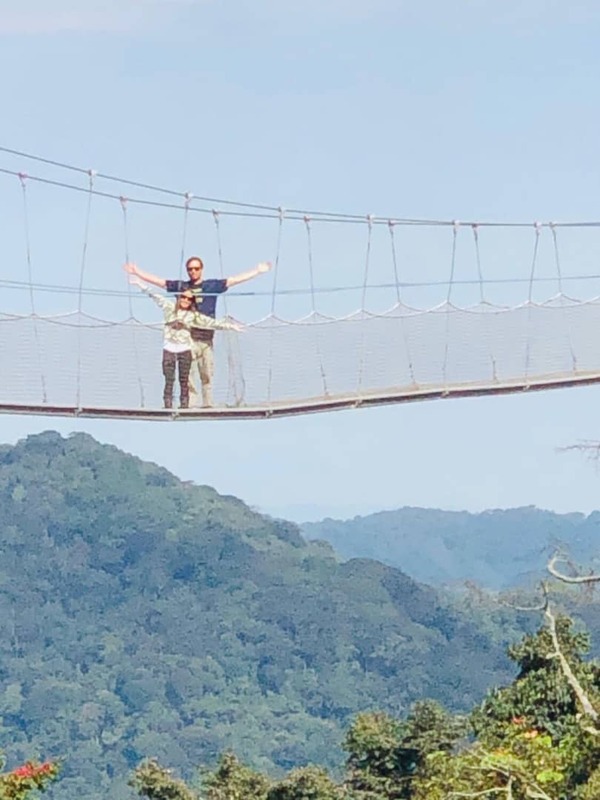 On a safari to Rwanda either to volcanoes National Park or any other destination tailoring it with a canopy walk is the best way to enjoy the beauty within Rwanda. 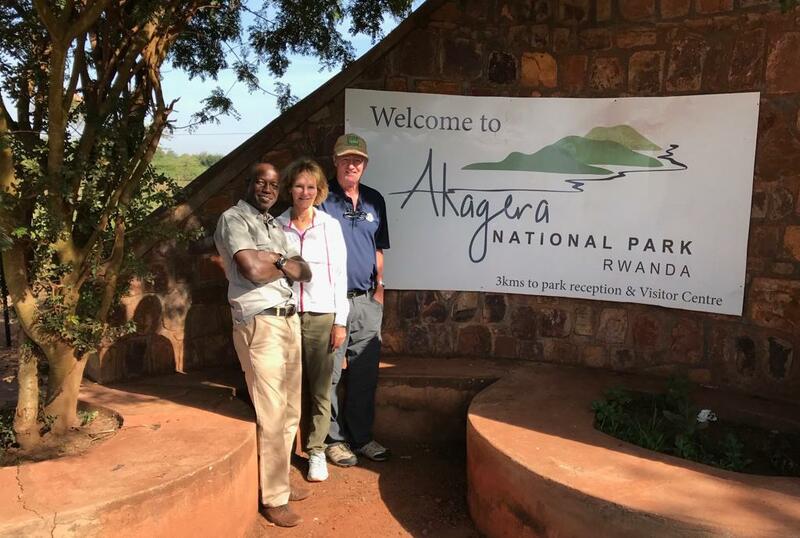 If you are in the country for a gorilla safari Rwanda which costs USD 1500, adding Akagera National Park and Nyungwe Forest National Park comes with an amazing offer that could probably get you a 30% discount to your Rwanda gorilla trekking safari permit.